This entry was posted in Cash4Books News & Updates and tagged bonus code, cash, make money on April 5, 2017 by Jim McKenzie Smith. Spring break is almost here, and we’re about to make it even more therapeutic! This March, not only are we giving you bonus cash, we’re also giving away a $100 gift certificate to Hotels.com. Instead of camping or having a staycation, you could be tanning on a beach, sleeping by the pool, or skiing down the slopes. 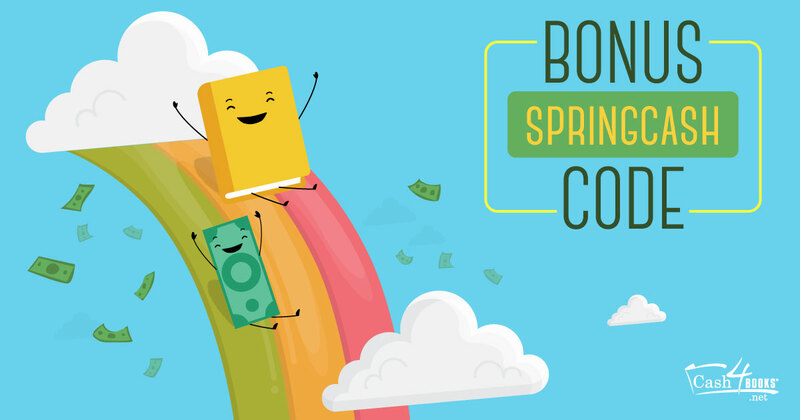 Get ready to plan your ultimate vacation with some help from Cash4Books! This entry was posted in Cash4Books News & Updates and tagged bonus code, cash, make money on March 1, 2017 by Jim McKenzie Smith. With the holidays behind us, let’s make a New Year’s resolution to earn more cash! Forget that ugly sweater from Grandma and those new socks from Santa. It’s time to get what you really want this year. 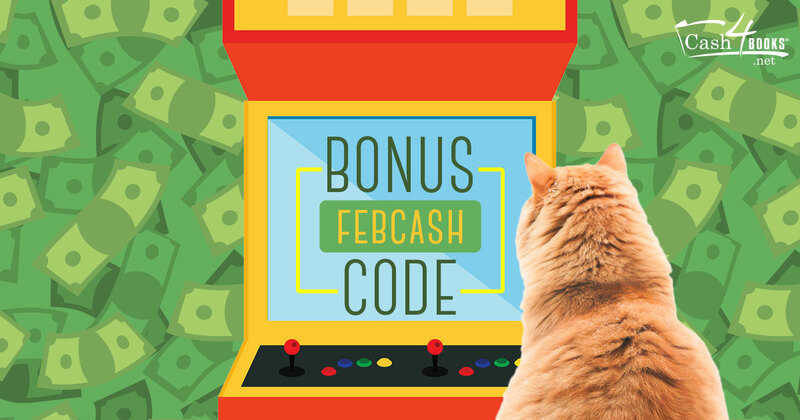 Just follow these tips and use our January bonus code to rake in some unexpected money. This entry was posted in Cash4Books News & Updates and tagged bonus code, cash, make money on January 4, 2017 by Jim McKenzie Smith. The end of the semester is a hectic and crazy time. 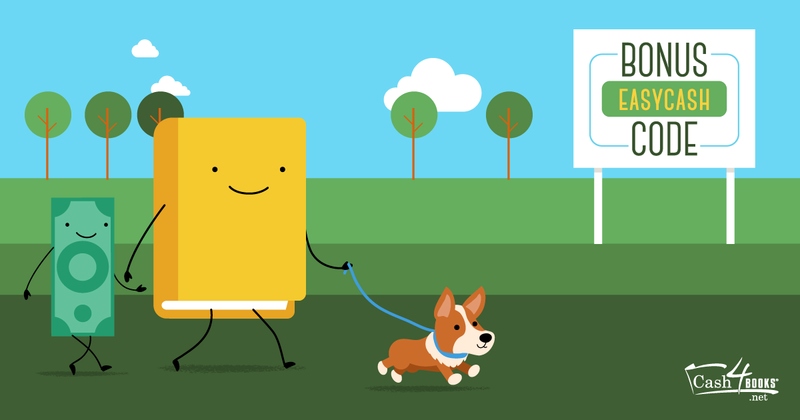 Between packing up to go home for the holidays and finishing up finals, selling your textbooks isn’t top of mind for anyone. Even if you price your books now, buyback prices can change constantly, and often aren’t as good in peak buyback seasons. Here at Cash4Books we have a solution! 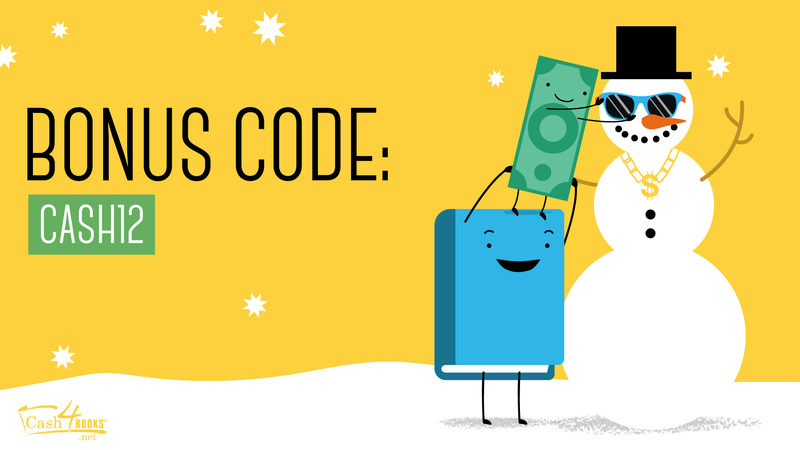 From now until December 9, we’ll let you lock in your textbook prices until the end of the semester, and give you 10% bonus cash. 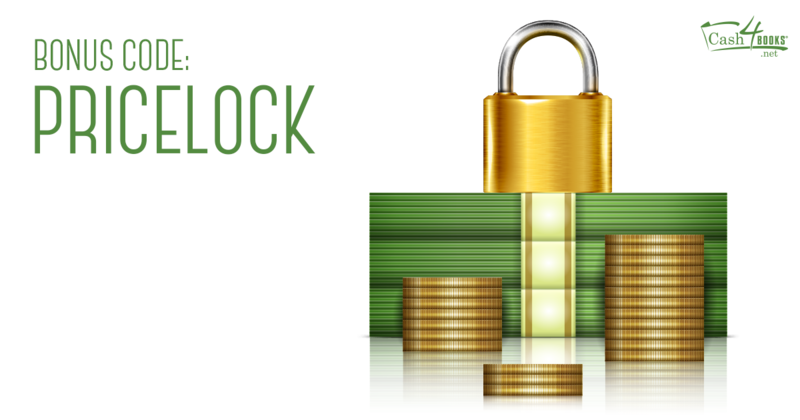 Discover the details, and snag your cash! This entry was posted in Cash4Books News & Updates and tagged bonus code, price lock, sell textbooks on November 21, 2016 by Jim McKenzie Smith.